Sudan’s state TV said on Thursday that the country’s army would make an “important” announcement and it now appears the military will be taking control as al-Bashir relinquishes power. Protesters in the capital Khartoum were heard singing “we won” amid reports Bashir is under house arrest at the presidential palace. Reports from inside Sudan suggest the country’s military is preparing to form a transitional government. Following the army’s announcement that a statement was forthcoming, speculation was mounting on Thursday that al-Bashir would either step down as president or that the army could even execute a military coup attempt. However, the latest word from sources in Sudan is that Bashir has agreed to resign and talks over the next steps are ongoing. 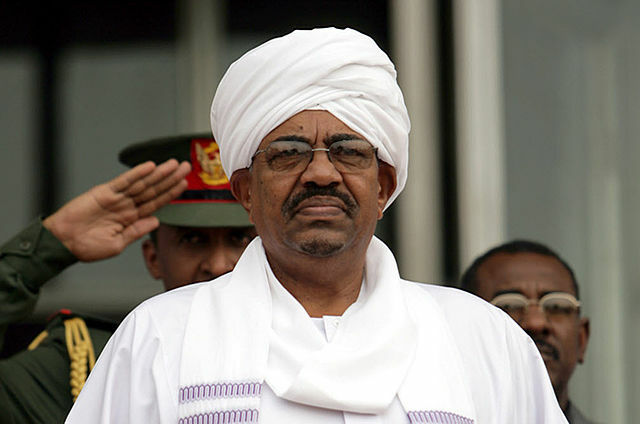 Bashir has been in charge for thirty years since seizing control during a military coup in 1989. The long-serving president has been a controversial figure throughout his reign with accusations of human rights violations being a constant theme during his time in charge. Bashir is wanted by the International Criminal Court over a series of alleged war crimes in Darfur.